Re: why is kamen rider changing tones? I still don't equate a high body count to a good series, nor is it any indication of seriousness. I'm not so sadistic that I like to watch people die. Honestly, the thing about Gaim, IMO is that it seems much, MUCH more willing to show that there are consequences. That being a Kamen..er...Armored Rider isn't all fun and games. The plot is pretty dark compared to even Wizard last year. Take Yuuya for instance. If it were any other series, there would be a chance he would turn up alive, albeit perhaps under enemy control somehow. There's that hope. In Gaim it's "You know that guy you've been looking for? Well, he's dead. He's deader than dead. Not only is he dead, but you killed him in the first episode. Good Job!" But from what I've read on the episodes come this becomes darker increasingly, as were the Kamen rider of before..
Kamen Rider Gaim. Featured the deaths of Hase and Takatora. It also showed Sid getting brutally crushed. The world has gone to hell, literally. The Inves are capturing people and draining their life force to revive the overlord queen. The United States launched a massive missile attack on Japan, notably the city the series takes place in. Kouta's best friend has been trying to kill him since episode 28. He killed his own brother and is just getting darker and darker. Kamen Rider Wizard. Every monster that our two heroes killed was born from a dead innocent. The White Wizard tried to use Haruto and the 3 Mages to destroy the world, just so he can bring his daughter back to life. Wizard is perhaps the darkest of the lot because unlike W, OOO, Fourze and Gaim, There was a real chance of Wizard being killed by his own powers... of Dragon being born into the real world. Koyomi died... or rather, died permanently. Kamen Rider Fourze is the one i least consider dark... but it had it's dark elements too. Gentarou died. Not only was he killed. He was killed by the secondary rider. 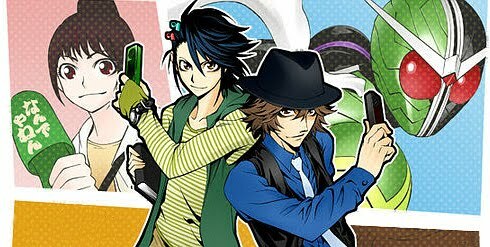 Kamen Rider OOO... I think the death of Ankh counts as a death for this series... but the series didn't have too many dark moments. Kamen Rider W... I don't know if i'd call it dark... just serious. It didn't have the silly aspects of Fourze, or the dark tones of Wizard and Gaim. But i think W is one of the best shows i have watched, second only to Gaim and Wizard. I started watching with Decade so i can't judge the shows prior to Decade. All Kamen Rider shows are considered kids shows in Japan... but if they were released in the west unaltered, Wizard and Gaim would probably get a PG or Teen rating. Something i do want to comment on is fruit. 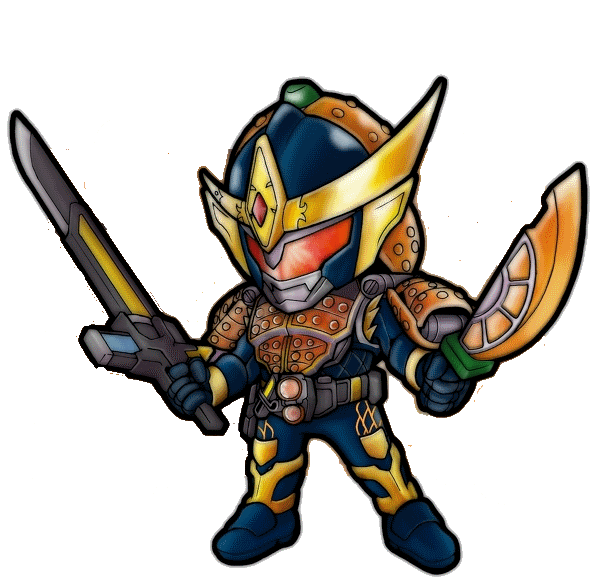 When i first read about Gaim i called him the fruity samurai as an insult.... I thought the idea was childish and just plain lame. I'm sure i'm not the only one. But now, 39 episodes and one movie later... and I consider Gaim's fruity theme to be an awesome choice. I don't consider the fruit theme lame anymore. I knew from the start most people just get used to the fruit theme. Haruto was never, ever in danger of being overwhelmed by Dragon, though. When he goes into his Underwearworld to get him to chip in for the Dragon forms, Dragon insinuates that eventually Haruto will succumb to despair, but Haruto's retort works out to "I want to have the power to save people, and so long as you're here, I have that power". Haruto may be everyone else's final hope, but Dragon is his. Yet another strike against how Wizard was run. Danger? Suspense? Not on this series! KR series, in general, are a mix of both comedic and dark moments, but for me, some series lean more towards one or the other. Hence the way I categorised the dark and lighter ones. The ones I categorised as mixed are those who have a good balance of both. Many may disagree, but I do not consider Gaim to be a dark series. It is the darkest post Blade, but had enough comedic elements interspersed that makes it a balanced mix. Though, like I mentioned many times in other posts, Gaim handles the shift of tones so damn well. Also, having deaths does not automatically made a KR series dark. A lot of other things have to be put in consideration. Kuuga and Agito are probably the most brutal of them all. The way people were killed are quite gruesome for a kid's show (anyone remember the Grongi who cut a woman into half on the park beside her boyfriend/husband? Sick. Also, the final battle betwen Kuuga and the main villain got from exchanging blows in their Henshin-ed form to punching each other to death in their human form, with blood spewing everywhere). I personally love the dark category most and wish they make more like those listed, but with the recent societal trend I know it's highly unlikely they'll ever go down that road again. However, I'm more than happy if they make more series like Gaim, who handles the "mix" so efficiently.